When it’s time to take stock we look toward the coming year, which will mark the tenth anniversary of the Dolomites being listed by UNESCO as a World Heritage Site. However, one thing is certain, we have come a long way, thanks to all those people who make a daily commitment to enhancing what could have become a mere medal to pin to our chest. This hasn’t happened due to the Overall Management Strategy being drawn up for the site and, by setting up networks and partnerships, a great many projects and initiatives have been developed for all five of the provinces. In order to spread a true, deeply rooted and widespread awareness among the various communities, new instruments continue to be needed. This is why some 35,000 copies of a pocket-sized book at a nominal price have now been distributed to mountain refuges, tourist boards, museums and all other places in which there is an interface with visitors and residents. This booklet uses simple, direct language to explain why the Dolomites have been given World Heritage status and the resulting responsibilities heaped upon local authorities for active conservation of the site, since they no longer have to answer only to their own residents but to the whole world. The booklet also describes those values that make the Dolomites unique and the reasons why they are considered to be a serial property, a site consisting of a single yet complex set of systems all with their own unique features. The booklet provides a brief overview of each of the nine Dolomite systems making up the World Heritage Site: Pelmo-Croda da Lago, Marmolada, Pale di San Martino-San Lucano-Dolomiti Bellunesi-Vette Feltrine, Dolomiti Friulane e d’Oltre Piave, Dolomiti settentrionali, Puez-Odle, Sciliar-Catinaccio-Latemar, Bletterbach, Dolomiti di Brenta. 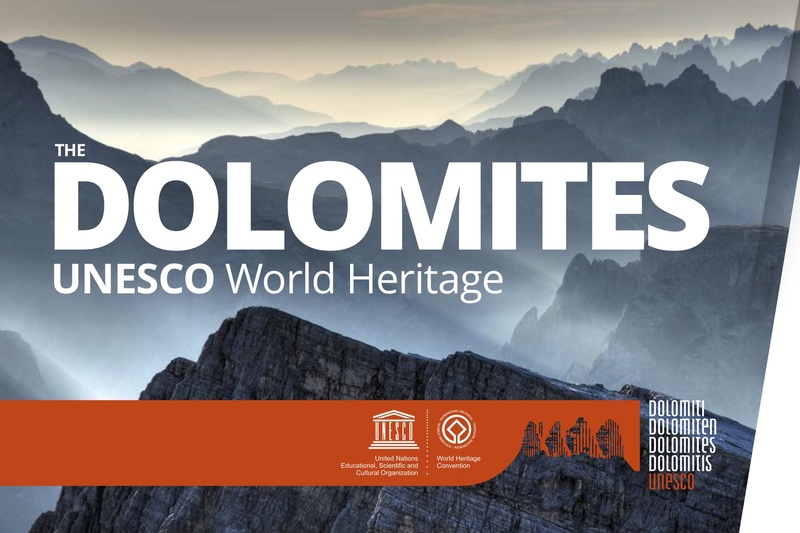 Finally, it defines the role of the UNESCO Dolomites Foundation, set up on 13 May 2010 by the five provinces (Belluno, Bolzano, Pordenone, Trento and Udine) and the two regions (Friuli Venezia Giulia and Veneto) to “guarantee effective, well-coordinated management of the Dolomites World Heritage Site, undertaking a specific commitment to the requirements of UNESCO”. It is also worth remembering that responsibility for the active conservation of the WHS is not born solely by the individual authorities but by all the communities within the Dolomites and their representatives. Considering the linguistic, economic and administrative differences, it is obvious that the challenge faced by the Foundation is by nature a cultural challenge. This booklet provides the opportunity for everyone to reflect on “who we are and where we’re going” because UNESCO listing is not an arrival point but rather the departure point for a fascinating journey.